​For more information, please contact the Alexandria region DCFS at 318-487-5054. Tuesday, April 23, 2019 @ 6:00p.m. Saturday, May 11, 2019 @ 10:00a.m. Tuesday, June 25, 2019 @ 6:00p.m. Tuesday, July 16, 2019@ 6:00p.m. Tuesday, August 06, 2019 @ 6:00p.m. Tuesday, August 27, 2019 @ 6:00p.m. Tuesday, September 17, 2019 @ 6:00p.m. Saturday, October 05, 2019 @ 10:00a.m. Tuesday, October 29, 2019 @ 6:00p.m. Tuesday, November 19, 2019 @ 6:00p.m. Myles is a handsome twelve year who is very polite and well-mannered. 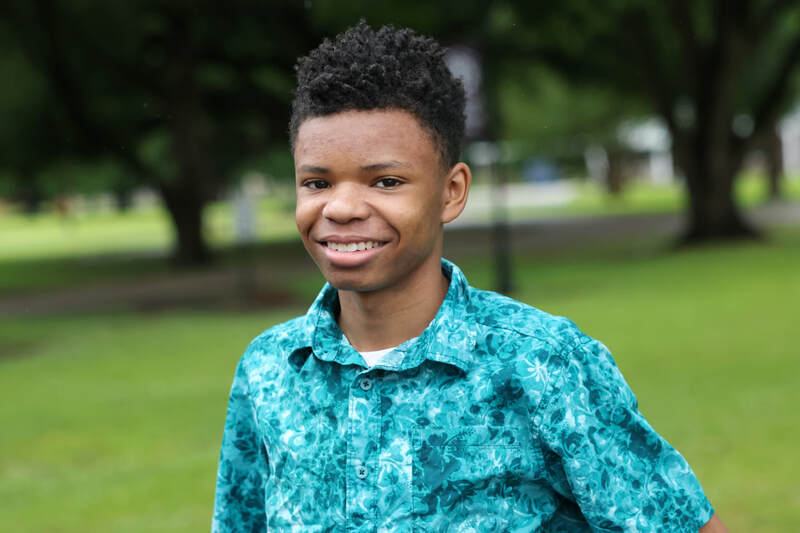 Myles enjoys playing video games, basketball, playing outdoors. If you ask Myles who is John Cena, Neville, Kevin Owens and AJ Styles he would gladly say they are the SUPERSTARS OF WWE WRESTLING. Myles is in the 5th grade and makes average grades however he has the ability to maintain higher academic status. Myles is an active member of his school’s basketball team. He has a bubbling personality and he interacts well with his peers and makes friends easily. Myles would like a family that is very active, nurturing, loving and takes summer vacations. For additional information on Myles, please contact the Alexandria region DCFS at 318-487-5054. Meet David! David is a 13-year-old boy who is full of life! David can seem shy at first, but don’t let that fool you as he loves to laugh and have a good time. He usually has a funny story up his sleeve! David loves baseball and football. In his spare time, he loves to play sports outside with his friends. When he’s not outside, he enjoys watching scary movies. Like many teenage boys, David loves food! His favorites are pizza and fried chicken. David hopes to find a forever family with lots of other siblings. This sweet young man has such a big heart. He dreams of having a good job, a nice house, and a family of his own when he grows up. Tamia is a sweet young lady who enjoys interacting with her peers but also values her quiet time. She enjoys outdoor activities, church activities, and playing with other children her age. Tamia is soft spoken and has a timid personality. She could benefit from a family who can help her become more independent and model confident social behavior. Tamia will need consistent guidance, counseling, and assistance with her educational goals. Tamia identifies her perfect family as being patient, loving, easy going, and active. She would especially love a permanent family who will also consider adopting her sister. Tamia is a healthy kid looking to find her forever family who will love her unconditionally. 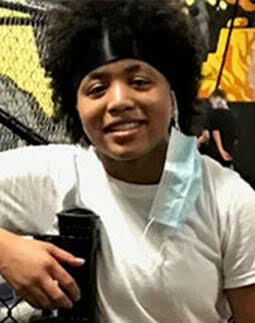 For additional information on Tamia, please contact Geoi at Alexandria Region DCFS 318-487-5899. He is amazing, fun and good looking, he is Kemauri! This little guy loves the great outdoors and on a bright sunny day you can find him playing baseball or basketball. Just like most boys his age, he really loves video games. Kemauri does not have any problems verbally expressing how he feels. This kid is looking for a forever family who is willing to ensure he reaches his full academic potential. He wants a family that is excited about having an awesome kid like him in there home, because he is excited to have a new home. Overall he is looking for a loving and caring family. Lesha is a 14 year old female with a lot of personality. She enjoys school and maintains passing grades. When asked the question “what do want to be when you grow up”? The answer is a nurse practioner, so she can help others. Like most children her age, Lesha enjoys hanging out with her peers, playing on her electronic devices, singing, dancing and watching her favorite tv shows. Lesha also gets great pleasure out of playing softball at her school. Lesha is open to adoption and would like a family that is active, loving, kind, fun and takes summer vacation. For additional information on Terrick, please contact the Alexandria region DCFS at 318-487-5054. Annelyseis quiet and soft spoken. She enjoys reading, arts and crafts, getting her nails done, and collecting stuffed animals. Family is very important to Annelyse. She believes a family should always stick together, enjoy outings together, and create memories together. She loves looking after other children so having a few little brothers and/or sisters would be a joy to her. Annelyse does well at school and in the home. She can get lost in her shyness, so a family who is willing to teach her how to assert herself and build her self-esteem would be ideal. If you are interested in learning more about Annelyse, please contact Geoi Smart at 225-337-0058. Meet RaeOnna. RaeOnna is a very bright and intelligent little girl who excels in reading and language arts. She enjoys the embellishments of being a "girly girl," such as dressing up and playing in make-up. RaeOnna would love to have a family with siblings and perhaps, a few pets. She would thrive in a home that offers clear expectations and structure. She needs parents who will encourage her inquisitiveness, build herself concept, and model positive interactions with others. RaeOnna is a beautiful and healthy child with a very strong desire to find a family who will love and care for her unconditionally. Amariya is a 13 year old girlie girl. She enjoys shopping and going to the beautician to get her hair washed and styled. Interacting with her peers is always an activity that she enjoys. She loves arts and crafts activities when available. If you asked her about her favorite foods it would be no surprise that pizza is at the top of her list. Amariya would likes to have a family that is active and enjoys traveling. A family that has the time and patience as well as devoted to raising a beautiful young girl is welcomed. Those who know Jonathan best, describe him as a very energetic child who loves basketball, baseball, soccer, and video games. Jonathan is all boy and seeks any opportunity to run and play. He is also very sweet, loving, and articulate. Jonathan needs a warm, easy-going, nurturing, committed family who has the knowledge and skills to parent, teach, and encourage children with some special learning needs. He would thrive in a home environment that provides consistent routines, clear rules, and a significant amount of individualized attention. Although Jonathan enjoys interacting with children of all ages, he will do best as the only child in the home, or with an older child. Tatyana is a very smart, sweet and outgoing teenager. She is an 8th grader making average grades. She is very active and enjoys swimming, praise dancing and going to church. Like most teenage girls she also enjoys singing in the church choir, shopping and lots and lots of jewelry. She is an overall healthy child with a huge heart and will to help others. She is very helpful around the house and loves to be praised. Tatyana will need parents who will provide her with lots of love and attention. In conjunction with her many talents, she also likes to read. ​Amire is 14 years old and is a typical teenager. She enjoys playing on her electronics listening to music and playing video games. In addition to this, Amire is a girly girl. She enjoys getting manicures and pedicures as well as doing make up. Amire completed 7th grade this school year and will be going to 8th grade. Amire is a good student and enjoys learning new things. Amire loves dining out and her favorite foods are seafood, hot wings, and chinese. Amire presents with a lot of energy. She will need an energetic family to keep up with her. Amire looks forward to finding her forever family. She would like a family that is active and nurturing. For additional information, please contact the Alexandria region DCFS at 318-487-5054.